The first step of anything new is always the hardest – but the most rewarding. Once you’ve started with something, it’s easier to know where you’re going and this is especially true with weight loss. Here are our top eleven strategies that can help you start your weight loss journey. Seriously – this is one of the easiest ways to start dropping off the pounds. Whilst each individual bottle might not contain that many calories, the tendency to drink it in large quantities adds up. Try swapping out fizzy drinks for just plain water – and if you simply must have something more, swap to something like a fresh fruit smoothie. Avoiding the calories gained through fizzy drinks – even the diet version – can be a nice simple start, and a good foundation to build on. After all, it’s much easier to swap out fizzy drinks than change your whole diet, and it’s much harder to find yourself snacking guiltily on them! This may seem counter-intuitive, but it makes sense when you think about it. On a standard three meals a day diet, you may find yourself getting hungry in-between meal times, and that’s when the snacking starts. No matter how healthy your main meals, snacking is one of the quickest ways to pile on the pounds. Instead of having three large meals a day, try swapping to five small ones. This should reduce your hunger, helping you to have more control over what you eat and avoiding filling up on snacks! As part of the above, try to make sure you eat breakfast. It’s for exactly the same reasons – while you may think eating more will make you gain weight, it won’t if you’re in control. Instead, eating breakfast means you can avoid snacking in the morning and it can help you keep the pounds off! Coffee and tea aren’t particularly big in the weight gain category, but they are an easy thing to swap out. For that reason, we suggest swapping them out for green tea, which has links to weight loss and helps keep you healthy due to the sheer amount of antioxidants in it. It may not help you lose weight by itself, but as a first step it’s good practice for swapping out parts of your daily routine and it’s got a useful support effect to any other changes you might make. You could also take green tea supplements if you preferred. One of the hardest parts of exercising is feeling too tired to even start. If you have this problem, have a look at your diet and what you might be missing. Many people don’t get enough vitamin C, D and E, and it may be worth adding supplements of these to see if it perks you up. Another possibility is a lack of iron, but in this case you should check with a doctor before taking supplements just in case. Not only will taking vitamin C, D and E supplements help you feel more alert and up for exercise, but it’ll also keep your skin clear and healthy and help your body fix any damage exercising might do. Everything is easier with friends, and losing weight is no different. Having people to talk to who’ll understand the problems you’ve encountered, and to give their own tips, is great. Whether it’s work colleagues, a support group like weight-watchers, or just a group at the local gym, getting some weight loss friends is a great first step. Keep a food diary for a few weeks before starting your diet, and use it to work out your weak points. This strategy of targeting particular issues rather than just reducing intake generally means you’re more likely to success as you’ll have clear goals. Plus if you keep up a food diary once you’ve started you can keep an eye on where you struggle and where you do best! One of the most common thing new starters to weight loss do is to make a mistake, panic, give up and binge eat. Come to terms in advance with the idea there will be bad days, and try not to feel guilty for it. It’s okay to have an off day once in a while, so long as you get back up and try again the day after. Learning that mistakes are okay and not to give up is vital. Checking the scales everyday can be off-putting and make you feel like you’re barely attaining anything. Get a trusted friend to hide your scales from you and only check them on a set schedule – every two weeks perhaps. This will help prevent you getting hung up on numbers and instead focus on how your body feels and looks. Remember: if you’re doing exercise, muscle is denser than fat, so numbers aren’t everything. Pick out three key, healthy meals that you can easily cook and spend time perfecting them. Cooking your own meals means you’ll have more control over what’s in them, and it can also help you get used to proportions. Definitely worth spending time on! Starting to exercise is hard, so pick on key exercise and try to do it for ten minutes every day. Whether this is standing push-ups, squats or even just a quick jog, dedicating ten minutes to a single exercise everyday is a great way to get going, and you’ll soon find your motivation for doing more increases! Guest Post by Regular Contributor: Edward Francis and Supplemented.co.uk! © 2015 DLS HealthWorks, LLC. 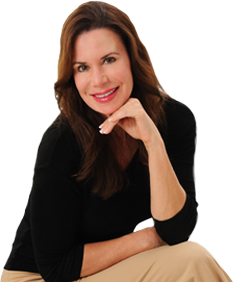 Lori Shemek, PhD, CNC, health and weight loss expert and author of How To Fight FATflammation! published by HarperCollins. Sign-up for Dr. Lori’s free monthly newsletter with free gifts! Download my eBook “Metabolism Masterclass” for free! Subscribe to my newsletter and download my free eBook, Metabolism Masterclass. ©2011-2019, DLS Healthworks, LLC; All rights reserved.